Thanks to cooperation between land managers and user groups, a new multi-use trail will be constructed this Spring on Mt. Hillyer allowing for features such as rock drops, teeters and log crossings. 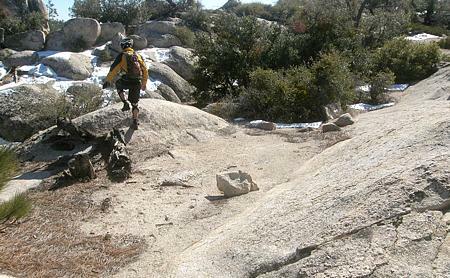 The CORBA Trail Crew is very pleased to announce the U.S. Forest Service approved our proposal for a new multi-use trail near Mount Hillyer, located in the Angeles National Forest. The proposed route will be approximately one-mile, and will include many technical trail features and enhanced natural technical trail features. Some examples will include log rides, log crossings, rock drops, teeters, skinnies, and slick rock granite. The proposal also allows for additional features to be added along part of the existing Mount Hillyer Trail. These features will not affect the existing primary line of the trail, but will be added along the side of the existing trail. This will allow hikers and less adventurous riders to stay on the existing primary line of the trail if they choose. The Mount Hillyer area is perfect for this style of trail. The natural terrain lends itself to the creation of new challenging lines, and the addition of features will make this already excellent trail system even better. A new Kiosk will be installed at the trailhead with a map of the area and other trail user information. CORBA has committed $6500 from our general fund for this project. We are also seeking grants and donations, as significant funding is needed for equipment and supplies. If you would like to donate, please visit the CORBA site and click on the “Donate to the Hillyer Trail” tab. We will also be seeking volunteer assistance! The CORBA Trail Crew hopes to begin construction sometime in the spring. Once the groundbreaking date is set, it will be announced on the CORBA web site and our e-newsletter. With the expected success of this project, we are hopeful that this will open the door for similar projects with the Forest Service and other land management agencies. Keep up to date with events on our dedicated Mt Hillyer Project web page. During the summer and fall of 2007, the City of Glendale held a series of public meetings for public input on their Citywide Trails Master Plan. CORBA Representatives were in attendance for all of these meetings. The City Planner, Jeff Weinstein and his assistant Sean Toro, were a pleasure to work with, as were all the other members of the trail user community. The City of Glendale has a large amount of open space that includes a large portion of the Verdugo Hills and the San Rafael Hills as well as the Deukmejian Wilderness Park in the San Gabriel Mountains below Mount Lukins. 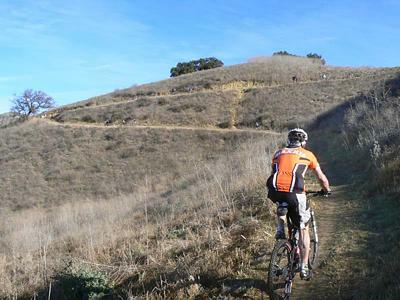 The Citywide Master Plan includes the building of new trails in these three areas, new trailhead parking, and a Mountain Bike skills park near the Sports Complex in the San Rafael Hills. On January 8, 2008, the Glendale City Council, by unanimous decision, approved the plan! There is still much work to be done before any work is started on new trails or the bike park. Environmental impact studies will need to be completed, and funding will need to be obtained. There is much excitement from the Mountain Biking community about the bike skills park! Bike Parks have been gaining popularity around the country and around the world. This will be the first Bike Park in the Southern California area with more to follow! The City of Glendale, with their forward thinking, will set the precedent for other such parks around the Southland. We applaud them for their ability to see the need for such a park, and how it can have a huge positive impact on the community! We will keep you informed on the progress of the various projects on the CORBA web site. The 9-mile New Millennium Trail is now complete! 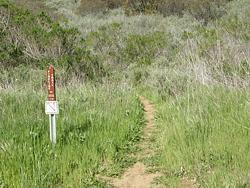 This looped trail is located in Calabasas, with access at several locations. The trail is a fun loop by itself, and it can easily be tied into a ride in Malibu Creek State Park or other local trails to make for an epic ride! There are several ways to access the trail including the Bark Park Trail and the De Anza Trail. The De Anza Trailhead, located on Las Virgenes Road by the 101 freeway, is the easiest access point (by the Mobile station). One section of the trail is closed where there is restoration of native plants taking place. There is a temporary bypass in place around this sensitive area. Get out there and ride it! Check out VenturaCountyTrails.org for detailed maps and trail descriptions of this area. Barley Flats Trail – Working to Bring it Back! The Barley Flats trail is located in the Angeles National Forest near the junction of the Angeles Crest Highway and Upper Big Tujunga Canyon Road. This trail is currently closed to all users due to threatened and endangered species. One of those endangered is the Southwestern Arroyo Toad. The CORBA Trail Crew will be reviewing the trail with Forest Service Biologists sometime this spring to determine the possibility of rerouting the trail around the sensitive areas. The trail has also become severely overgrown to the point where it is not passable, so it is in need of major maintenance. If it works out that the trail can be realigned and reopened, we will do just that. Keep an eye on the CORBA website for updates on our progress. 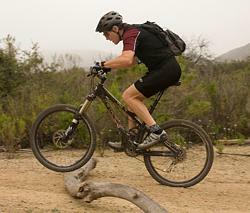 The Secret Trail in Calabasas will be closed for a few months sometime in late spring or early summer. The reason for the closure is road work that will be done on Mulholland Highway. Once the trail is closed, we will keep updates on the CORBA site to let everyone know the status. Thanks to everyone that took the time to fill out CORBA’s Trail User Survey. The survey has certainly helped us get a feel for what type of riding experience local riders are looking for. The survey results also provide useful data for discussions with land management agencies as we propose new trails and bike parks. View the survey results now, you might be surprised at what they show! With only a handful of trail contractors in the state of California, we see a definite need for a professional trail building crew with mountain biking and trail building expertise to fulfill the needs of local riders and other trail users. Beginning in 2008, CORBA has started a fee-based professional trail crew service. The CORBA Trail Crew will follow IMBA’s guidelines for building sustainable trails. The addition of a fee-based trail crew service will have no effect on our volunteer trail crew. In fact, we hope to increase the amount of volunteer hours in 2008. Land Mangers will not want to build new trails if the current trails are not being maintained! And there are many miles of trails out there that are in need of some maintenance! Please come on out and help! We will continue to have our monthly volunteer workdays. Also, most of the trail building projects will have a combination of paid professionals and volunteers working together. This way we can keep cost down, and build more trails! The Wheelie: Useful Tool or Circus Trick? I’m still in awe of someone who can ride a wheelie for blocks, their front wheel high in the air, a fine combination of balance and control. I call this the “circus wheelie.” For most of us, it’s difficult at best to keep the front wheel off the ground for more than a couple of pedal strokes. The good news is, you don’t need to. A small wheelie—one that is created by a quick burst of power to the drive train—can get your front wheel off the ground for a small obstacle like a water bar, rain rut, or rock shelf so you can keep your momentum going. But most people think a wheelie starts with a pull upward on the handlebar. Quite the contrary, it starts with a quick and explosive pedal stroke, a slight rearward weight shift, and then a slight tug on the handlebar (if one is even needed). The gear selection is critical, as is pedal speed. If you are in too high a gear, you will not have enough torque to drive power into the rear wheel; too low a gear and you won’t get enough resistance from the gear you’re in. I’ve found that the gear combination of “2/1” (middle chain ring and largest cog) is a good place to start. On flat ground, pedal as slowly as you can and when you’re ready, pedal forcefully with just one foot (half a revolution) while sitting up slightly. The front tire should come up slightly. If it doesn’t, you are probably pedaling too fast and not getting enough resistance and torque. Once you get the feel of the front tire lifting, try to get two feet powering the drive train (one full pedal revolution). This is all you really need to do a “trail riding wheelie, although once you understand the concept you can begin getting the front wheel higher for larger obstacles. Also practice using both your left and right foot as the starting foot, as you’ll never know which foot will be in position when you’re about to wheelie over an obstacle. After you can consistently raise the front tire, find a small curb or parking block; wheelie the front tire with half a pedal stroke just high enough to clear the top of the obstacle, and as soon as it comes down, lower your upper body and raise off the saddle slightly so that the saddle/rear tire is unweighted as it goes over the obstacle. 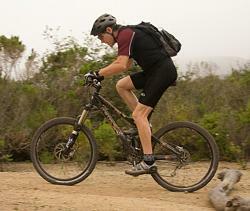 Don’t raise your upper body too high or it will make the bike unbalanced as the rear tire hits the bump. Sit down as soon as possible after the rear tire clears the obstacle. Want to keep it open? We have added two shopping programs so each time you use your grocery store club card, a small donation will be made to CORBA. Albertson’s Community Partners – Albertsons grocery stores contribute to your favorite participating 501(c)(3) non-profit when you use your club card. Simply visit www.albertsons.com/cp/ and use our Community Partner ID# 49001015710. Sign-up now! It’s quick and easy. Goodsearch.com is a grassroots search engine that donates a small amount (1-2 cents) to a charity of your choice each time you search. If even just 100 people use goodsearch.com twice a day, that’s about $730 raised for CORBA per year. The search engine that goodsearch.com uses is Yahoo. You can also click though their GoodShop affiliate program when you shop online with participating retailers for additional donations to CORBA or other charity of your choice. It’s easy to log into or to set up on your tool bar. Once logged into www.goodserach.com, simply enter CORBA into the box where it asks “Who do you goodsearch for.” Check it out! Many employers offer charitable giving programs in a variety of forms. For example, some employers will match donations that you make to a 501(c)(3) non-profit such as CORBA, while others may contribute funds based on the number of hours that you volunteer for a given organization. Check with your employer to learn about the ways that you can partner to support the non-profit community. Many financial institutions offer Charitable Giving Accounts. These accounts allow you to make tax-deductible contributions of cash or securities and allow you to recommend grants from the account to any public charity. Financial institutions offer a variety of tax-efficient ways to give to charities for immediate purposes and in estate planning. 2008 is going to be an exciting year for mountain bike-related activities. From Trail Days events to CORBA’s annual Fat Tire Fest, there’s something for everyone. Come out and show your support for trail access! Below is a brief description of upcoming CORBA activities and events. For more information please view the calendar at www.corbamtb.com. 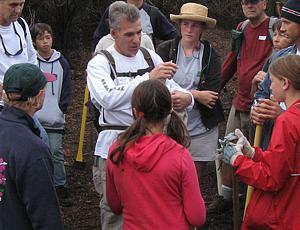 Join CORBA and many other volunteer groups for a day of trail maintenance in the Angeles Front Range. We will continue our work on the Middle Sam Merrill, as well as many other trails in the area. A barbecue sponsored by CORBA and other user groups will follow trail work. Join CORBA, the Santa Monica Mountains Trails Council and other volunteer groups for a weekend campout and trail maintenance. This is a really fun event for the entire family! When else will you be able to camp out in a State Park for free? Camping will be at Danielson Ranch, which is located near the center of the park not to far from the Sin Nombre Trailhead. There are restrooms and showers available. 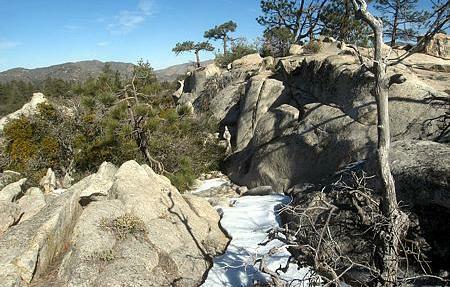 Maintenance will be conducted on many of the trails in the park. 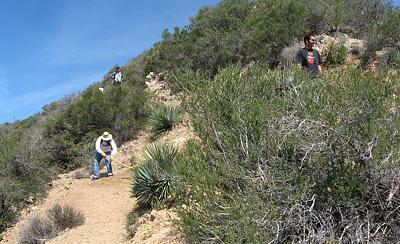 The CORBA Trail Crew will be working on the Guadalasca and Wood Canyon View trails. There will be a barbecue sponsored by CORBA, the SMMTC and other trail user groups. There will also be a raffle with lots of great prizes! Come out for a day or the entire weekend! Each year it keeps getting better. We’re seeking volunteers to get involved now. If you are interested, please contact volunteers@corbamtb.com. Watch our Fat Tire Fest web page for updates. 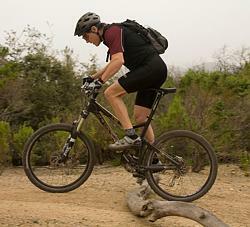 With so many Mountain Bike Clubs in the L.A. area, we thought it would be great to introduce you to some. Check out the CORBA web site for more information or send an email to info@corbamtb.com. 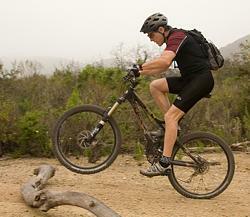 North Ranch Mountain Bikers is the biggest and oldest mountain bike riding group in the Los Angeles area. With rides on many different trails every weekend and night rides throughout the week, you’re sure to find something to match your experience and fitness levels. Rides and special events are posted on their website. We are having a Spring Membership Drive. If you are not a member and have been thinking about supporting CORBA, or if your membership needs to be renewed, please visit our web page for joining online. We have four levels of memberships available plus a corporate/retail membership. Membership benefits include discounts with various shops and companies, plus discounted entry to the 2008 Fat Tire Fest. One voice from the mountaintop can only be heard for a few hundred feet, 1000 voices can be heard for miles! Sign-up now and make a stronger voice for the mountain biking community! We have a lot of work to do and we appreciate your support. And about you…CORBA’s programs are run by enthusiastic volunteers who share the love for mountain biking, our parklands and good health. We are seeking volunteers who are interested in investing some of their time in CORBA’s community programs. Even just a morning here and there. 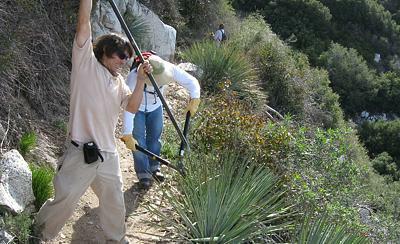 We have trail maintenance opportunities where you can make your mark on Southern California by making local trails sustainable. You can share your knowledge of local trails and mountain biking know-how by leading a recreational group ride. As October approaches, we’ll have a plethora of opportunities associated with our Fat Tire Fest. We also welcome you to participate in our board meetings and explore taking a leadership role by getting involved at the board level. For more information about volunteering, please send an email to volunteer@corbamtb.com. And for questions regarding charitable giving, please contact info@corbamtb.com.